The essential guide for intrepid young explorers to the skills and techniques you need for outdoor adventure. Learn the basics--from picking the best tent for your expedition to knowing how to pitch it--with clear, step-by-step illustrations. Find out why not to camp beneath a tree, how to peg out your tent, and when to slacken the guy lines. Once you're safely under canvas, discover how to forage for food, light a fire with flints and tinder, and cook up delicious grub. Find out what to take on your expedition, how to plan your route, and what to include in your essential survival kit. Then have fun learning camp craft and wilderness survival skills. To help you find your way, this book shows you how to use a map and compass, or the sun and stars as a guide. Discover the best way to hike over diverse terrains, including forests, swamps, forests, deserts, and mountains. Learn how to predict the weather by observing cloud formations and wind direction. 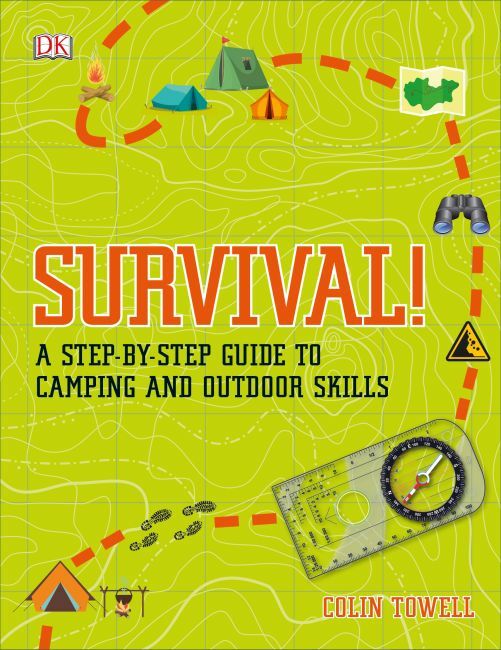 So start packing your backpack for an outdoor adventure, and don't forget your copy of Survival!